Though rooted in colonialism, domestic work has become a hallmark of modern urban living in Mozambique. There are more than 39000 registered domestic workers living in and around Maputo - a 30% increase in 10 years - and domestic work has become the most important occupation for urban women, after self-employment (INE 2007). So vital is domestic work to Maputo’s economy that when the Mozambican state moved to extend labour protection to domestic workers in 2008, the Ministry of Labour removed minimum wage language for fear that employers, many who are themselves minimum wage earners, would no longer be able to participate in the labour force. Despite the importance of paid domestic work, organised labour has historically paid little attention to this sector. In contrast to South Africa, where the extension of labour protection to domestic workers was seen as key to redressing the injustices of apartheid and engendering democracy, in Mozambique this was outside Frelimo’s - and thus the Organização dos Trabalhadores Moçambicanos’s (Mozambican Workers’ Organization –OTM) - political imagination. 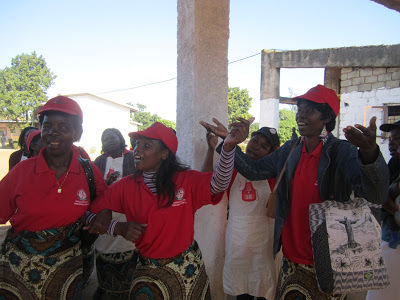 This article explores why domestic work developed into a strategic growth area for organised labour in Mozambique, arguing that ultimately, unions are themselves sites of struggle between competing interests and visions, capable of shifting direction, strategies and tactics. Picture: SINED Secretary General Maria Joaqim (L) and member leader Albertina Mundlovo, lead the group in song, calling on the Mozambican state to ratify ILO Convention 189 on Domestic Work, during international domestic workers’ day 2012. Photo credit: Ruth Castel-Branco. Three workers’ organisations currently represent domestic workers in Maputo: the Associação de Empregados Domésticos de Moçambique (Mozambican Domestic Workers’ Association - AEDOMO), the Associação das Mulheres Empregadas Domésticas (Women’s Association of Domestic Workers - AMUEDO), and the Sindicato Nacional de Empregados Domésticos (National Union of Domestic Workers - SINED). All are affiliated with one of two labour federations. However, the secretary general of AMUEDO contends that OTM was reluctant to organise domestic workers because of the dispersed and private nature of the workplace. Isolated behind closed doors, domestic workers are invisible to the outside world, inaccessible to labour inspectors or organisers, and outnumbered in the household. This makes them prone to abuse and difficult to organise. Live-in workers are particularly vulnerable as they rely on their employers for a place to live. By 2007 OTM had joined forces with AMUEDO and lawyers at the Ministry of Labour to draft Decree 40/2008, extending labour protections to domestic workers for the first time since independence. Domestic workers now have the right to a written contract, set schedule, daily break, weekly and annual leave, and social protection. Why did OTM change its mind? The shift began almost two decades earlier. Hit hard by Mozambique’s economic restructuring at the end of the 1980s, OTM’s membership dropped from 300000 to 90000 between the 1980s and 2003. The 1990 constitutional reforms that democratised the labour movement and delinked OTM from the state further weakened the federation. As the federation faced rising pressure from its membership to take action against the repressive activities of newly privatised companies, it found itself without the capacity to respond. This compromised OTM’s position among its membership, sowing the seeds for a divided labour movement. In 1992, three unions split to form the independent federation known today as the Confederação Nacional dos Sindicatos Independentes e Livres de Moçambique (CONSILMO). It was in this context that the informal sector became a strategic growth area for OTM. However, the real push came when leaders from its own ranks began to independently organise domestic workers into an association. Maputo’s first association of domestic workers was AMUEDO, formalised in 2006 by a former OTM leader. When OTM discovered she was recruiting domestic workers to the association, she was suspended. 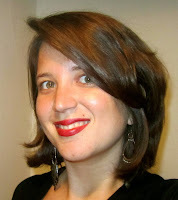 Once expelled, she affiliated AMUEDO with rival federation CONSILMO. In response, OTM founded its own domestic workers’ association, AEDOMO. While AMUEDO maintains that the creation of AEDOMO was an attempt by OTM to undermine their work, AEDOMO argues that this was a natural process for OTM. Shortly after, a third worker organisation, SINED, was formed and affiliated with OTM. SINED began informally in 2006 and was formalised in 2008. Though conditions are negotiated one-on-one between worker and employer, guided by common goals, they take on a collective character. Unions are also challenged by lack of funding, and often lose organisers when they are recruited to other sectors. Union statistics put unionised domestic workers at 10000. Despite constraint, domestic workers’ associations have the potential to profoundly affect working conditions in this sector. Ruth Castel-Branco is Mozambican researcher and labour activist. This piece draws on her MA research while at the University of KwaZulu-Natal, which explored the formalisation of paid domestic work in Maputo, Mozambique. She can be reached at ruthcastelbranco@gmail.com. Arthur, M.J. (2004b). Trade Unions in Mozambique, Maputo, Friedrich Ebert Stiftung. Boletim da República (2008). Decreto No. 40/2008: Regulamento do Trabalho Doméstico, I Serie, Numero 48, Maputo, República de Moçambique. Chipenembe, M.J.M. (2010). Dinâmicas de Género no Mercado de Trabalho Doméstico na Cidade de Maputo. ‘Género e Direitos Humanos em Moçambique.’ Teles, N. and Brás, E.J. Maputo, Departamento de Sociologia, Faculdade de Letras e Ciências Sociais, Universidade Eduardo Mondlane. Dibben, P. (2010). Trade Union Change, Development and Renewal in Emerging Economies: the Case of Mozambique. Work, Employment and Society 24(3): 468-486. INE, (2007). III General Population Census. Maputo, Instituto Nacional de Estatística. Marshall, J. (1990). ‘Literacy and People’s Power in a Mozambican Factory’, Comparative Education Review 34(1): 61-84. Munslow, B. (1984). ‘Proletarianisation in Mozambique. Proletarianisation in the Third World: Studies in the Creation of a Labour Force Under Dependent Capitalism, Munslow, B. and Finch, H.. London, Croom Helm. Penvenne, J. (1994). ‘African Workers and Colonial Racism: Mozambican Strategies and Struggles in Lourenço Marques, 1877-1962. 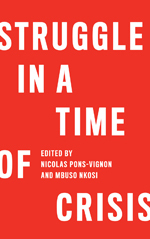 Johannesburg, Witwatersrand University Press.